All this information can be baffling and like many people you are sure there are some advantages to your business, but are unsure how or what you should be looking at. Google, Microsoft, Amazon, as well as many other cloud companies are releasing new products and services frequently, so it’s a very exciting time for cloud-based offerings. There’s also a lot of talk about how much cheaper cloud computing is as you only pay for what you need, but this isn’t always the case. At vBit we have been offering cloud-based solutions for over 10 years so you could say that we have some experience in this area. 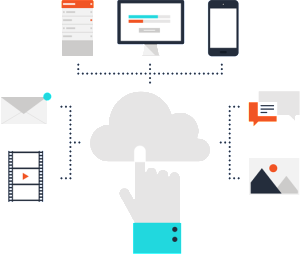 We can advise and setup fully cloud and hybrid cloud solutions (a mix of internal and external cloud solutions) so that you get what you actually need from the cloud without being oversold services.